It's that time!!! Baseball is here and the Arizona Diamondbacks will host the 14th annual Chevrolet D-backs Fan Fest from Noon-4:00 p.m. next Saturday, Feb. 17, at Salt River Fields at Talking Stick. The free event will offer fans access to current players, coaches, alumni and broadcasters. 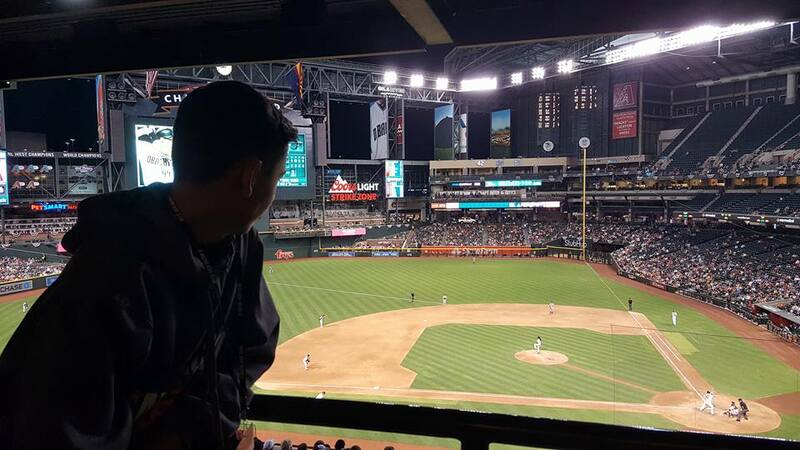 Among the D-backs players currently scheduled to attend include Nick Ahmed, Alex Avila, Anthony Banda, Jake Barrett, Brad Boxberger, Silvino Bracho, Archie Bradley, Sócrates Brito, Andrew Chafin, Patrick Corbin, Randall Delgado, Daniel Descalso, Brandon Drury, Neftalí Feliz, Reymond Fuentes, Zack Godley, Paul Goldschmidt, Zack Greinke, Jeremy Hazelbaker, Chris Herrmann, Yoshihisa Hirano, Matt Koch, Jake Lamb, Domingo Lebya, Ketel Marte, Jeff Mathis, T.J. McFarland, Jared Miller, Shelby Miller, John Ryan Murphy, Kristopher Negron, Chris Owings, David Peralta, A.J. Pollock, Robbie Ray, Jack Reinheimer, Jimmie Sherfy, Braden Shipley, Albert Suarez, Yasmany Tomás, Ildemaro Vargas, Christian Walker and Taijuan Walker. Coaches expected to participate include Manager Torey Lovullo, Bullpen Coach Mike Fetters and Quality Control & Catching Coach Robby Hammock. Broadcasters Bob Brenly, Steve Berthiaume, Greg Schulte, Tom Candiotti, Mike Ferrin, Rodrigo Lopez and Oscar Soria will also be in attendance, as well as President & CEO Derrick Hall, Executive Vice President & General Manager Mike Hazen, Luis Gonzalez and Randy Johnson. Absolutely Love this time of year! !